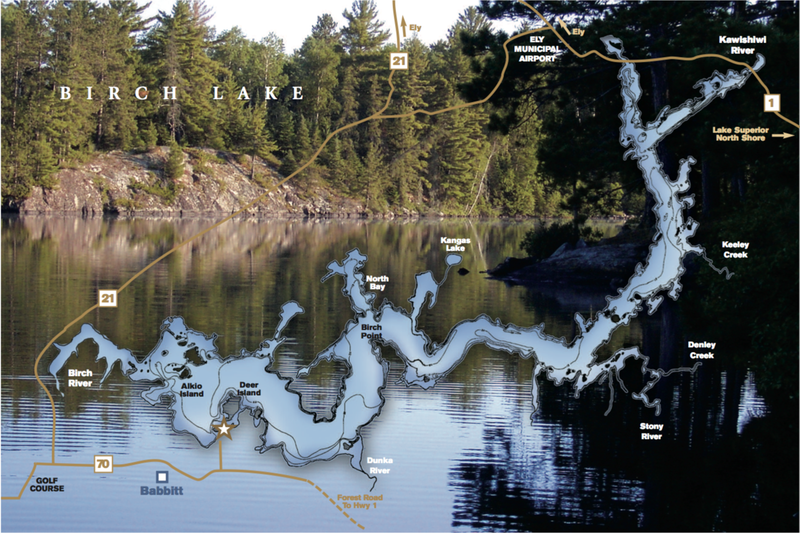 Directions to Timber Bay: Timber bay is located on Birch Lake near Babbitt, Minnesota 15 miles south of Ely. T take Interstate 35 north to Cloquet (approx: 20 miles south of Duluth). Follow highway 33 thru Cloquet to highway 53. Continue north on highway 53 to highway 169 5 miles north of Virginia, MN. Turn right on 169, go 7 miles and turn right on County Road 21 to Babbitt. Timber Bay is located one mile east of Babbitt on County Road 70.